First to File: Are There Legal Reasons You Should File for Divorce First? 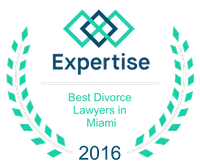 Contact Miami Beach Divorce Lawyer Vilar Law, P.A. Making the decision to divorce usually comes only after extensive soul-searching, conversation, thought and maybe even prayer. When considering the dissolution of a marriage, emotions can run high and even highly rational people will make decisions that they would not consider under other circumstances. When divorce is the only answer, filing for divorce first can provide practical, legal and even psychological benefits. Divorce proceedings can get nasty, and assuring that all of the original documentation is in hand can be the difference between having a financially fair divorce and one that can be overwhelming. This includes everything from insurance policies, tax returns, real estate records, bank statements and more. Do not allow spouses the opportunity to be secretive or controlling. Being the first to file for divorce allows the security of knowing where funds are, and how to access them to ensure enough money is available to cover expenses. A highly qualified divorce lawyer can help take the mystery out of the process and be an advocate throughout this painful time. Couples going through a financially complex divorce may benefit from having a financial analyst who specializes in divorce cases to assure that parties receive everything to which they are entitled. State laws can vary, and the first to file has the opportunity to choose where the divorce will be adjudicated. If the two parties have already separated and living in separate states, this is particularly important. A trusted attorney can help understand the legal implications of venue selection and advise where to file to receive the most favorable outcome of the case. Jurisdiction can affect everything from spousal support and division of property to child support - so knowing the available options is critical during this time. No one likes feeling blindsided, and receiving divorce papers can be a terrible feeling that creates an emotional tailspin from which it can be difficult to recover. Making the decision to file first helps solidify that there is no coming back from a strained relationship, and presents an edge as well as the emotional power of knowing that this is the first step towards a more positive future. This also allows the time and space to breathe , consult a qualified legal professional, and come to terms with the decision before proceedings begin. Divorce is not a game to be won, and approaching it that way could lead to even more negative feelings on both sides. Instead, consider filing for divorce first as a way to protect personal assets - both physical and mental - and to achieve a favorable outcome from a difficult situation. We serve the following localities: Miami-Dade County, Aventura, Coral Gables, Hialeah, Key Biscayne, Miami, Palmetto Bay, Cutler Bay, Hialeah Gardens, Homestead, Opa-locka, University Park, Westchester, Broward County, Dania, Davie, Deerfield Beach, Hallandale, Hollywood, Miramar, and Pembroke Pines. Copyright © 2018, Vilar Law, P.A.